(By Derby Jones • Publisher for Williamson Herald. Click HERE for Full Article) When Desi Kelley, a third grader at Nolensville Elementary, went to school on Wednesday, Dec. 21, he was expecting a class party and the school sing-along. 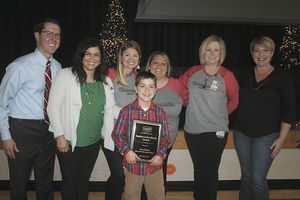 What he didn’t expect was to be presented the Goodall Homes Student of the month during the assembly with his parents in the audience as a surprise! As the students gathered in the school gymnasium for holiday singing, Principal Paula Waits informed the students that there is a special award to be given out. Rachael Overall of Goodall Homes took the microphone and spoke about the type of student they look for in selecting the student and then announced the winner to the delight of the crowd “He was nominated as the class president by his peers,” said Overall. “He (Desi) was selected for his honesty, helpfulness, kindness to others at all times, thoughtfulness, respectfulness, being responsible, and being accepting of others — great qualities that we look for in our students.” His third grade teacher, Julie Bratcher, also had many great things to say about Desi. “The whole class would agree that Desi deserves this award. He embraces all the characteristics that we brainstormed and the students voting him into office after nominating him for the primary,” said Bratcher about the class presidential election. “He is such a bright student with the most kind heart. He does all of his work with excellence and is a joy to teach. I feel very blessed to be his teacher this year.” Desi is a well-rounded person, according to his parents, Jeffrey and Noelle Kelley. He enjoys using his creativity to build with different blocks, tiles, paper and wood. His parents said Desi would make a good engineer one day. 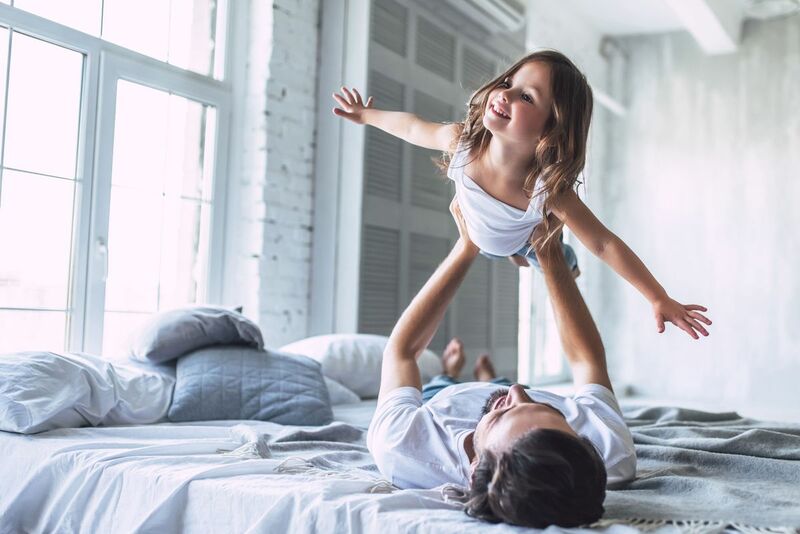 “He loves to build things and is very creative,” Jeffrey said. “He has great aspirations for lots of things.” Noelle noted that he is also a great brother with a big heart. “He loves to make his family laugh with his different accents and songs,” she said. “His heart is tender and he feels deeply for others. Desi asks big questions and loves to learn how things work.” Both parents agreed his favorite subject is math. Desi also enjoys anything that involves sports and running and loves to be outside. “He is competitive but has great sportsmanship,” said Bratcher. Desi’s fellow classmates all agreed he deserved the award in addition to being nominated as class president. “He really does deserve the awards,” said classmate Annaross Wetzel. “He is always nice and very intelligent. He treats everyone with kindness.” Wetzel said she served as his speechwriter during the class campaign. “I have known him since first grade," Wentzel said. "Desi is awesome.” Overall of Goodall Homes noted the future looks bright with these kinds of students. “Creative, dependable, and kind,” she said. “These were just some of the things I heard about Desi. We need more future leaders like him.” If you would like to submit a nomination for the Goodall Homes Student of the month, go to www.williamsonherald.com and click on the home button for the link to the form.